Though this seems like an obvious first step, many people struggle to pinpoint the single unique objective that they hope their YouTube videos will achieve. Are they to build brand awareness? Drive sales? Create a bond with your audience? To help yourself figure this out, try to think about your videos from the watcher’s perspective. After watching the video, will they want to buy what you’re selling or visit your website or store? Will they want to share your brand with their friends and family? These are just some of the questions which you should ask yourself, not only as you start your YouTube channel but also as you work on each video. Remember that you’re not just working to release content, but to effectively use it to build your brand. So if you don’t figure out exactly what you want out of your videos, you’re dooming yourself to mediocrity from the very beginning. With over 400 hours of new videos being uploaded to YouTube every minute, it’s an uphill struggle just to get people to watch your content. 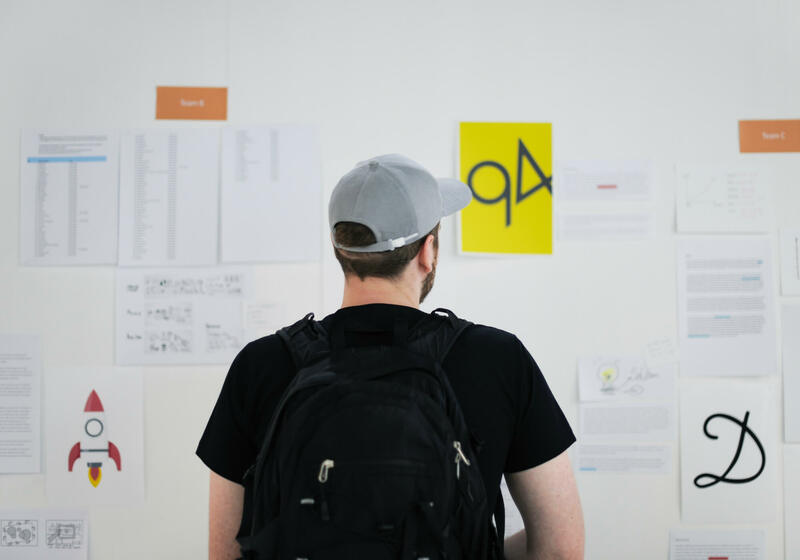 One of the most sure-fire ways to build a loyal audience who will keep coming back to you is to find out what they’re looking for, then make content that’s specifically tailored to it. So what are they looking for? According to Google themselves, YouTube content falls into three categories: educational, social, and entertainment. 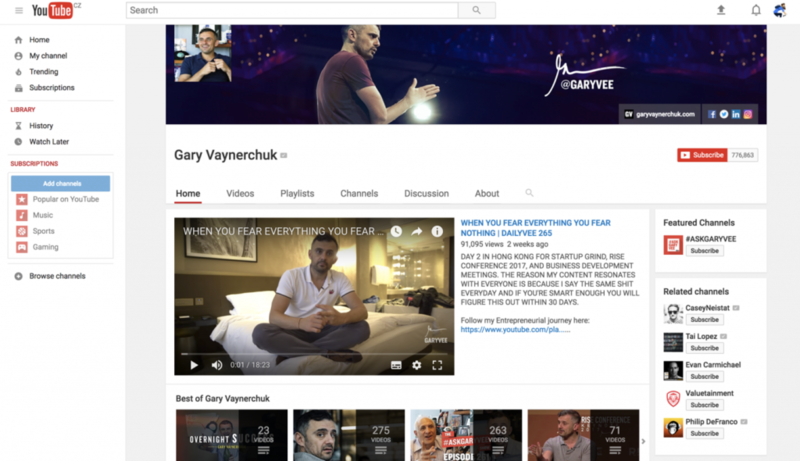 Educational videos are watched for self-help (Gary Vaynerchuk), instructions on how to better use products like software (TechSmith), to learn more about specific topics like marketing (Neil Patel), or just to keep up with the latest news (TechCrunch). Social videos are usually viral, and are those which people watch to share with their friends. An example of a social video is Felix Baumgartner’s viral supersonic freefall video. Entertainment videos are those which people watch for humor, recreation, or to pass time in general. Examples include BBC Earth or TED. You can use choose what type of content will best help you in draw in your target audience. For example, if you run a spare-parts business, a series of DIY videos showcasing your products in use will go a long way towards promoting them. Especially since almost half of western users prefer to buy from companies that provide instructional content. But always remember that while you should show your product’s value, you should also keep the sales pitches to an absolute minimum. A content strategy basically means how you intend to plan, develop and release your content. Not all your videos will have the same aim: some may be teaching people how to use your products, others may be catchy adverts to generate buzz, while others may be used to update your followers on new products. Take a look at Google’s own in-depth guide to on how to develop your own content strategy. Wise people learn from others’ mistakes. Wise marketers go one step further and learn from their successes as well. For every successful marketing campaign, there’s a deliberate formula behind it. If you can figure out these formulas, then tap into them and find a way to integrate them into your own content, then your marketing videos will become that much better. As an example, a company called Mucinex gave a textbook example of understanding their audience’s psychology and using it to their advantage. Most people who watch YouTube consider adverts a necessary pain and skip them as soon as they are able to. The result of this advert? Mucinex saw a 250% increase in search volume, 10% increase in purchase intent, and to top it off, 16 million views. You can use Analytics tools like Google Trends to see what topics are trending and make content that rides the wave of all the surplus of attention being directed towards them. 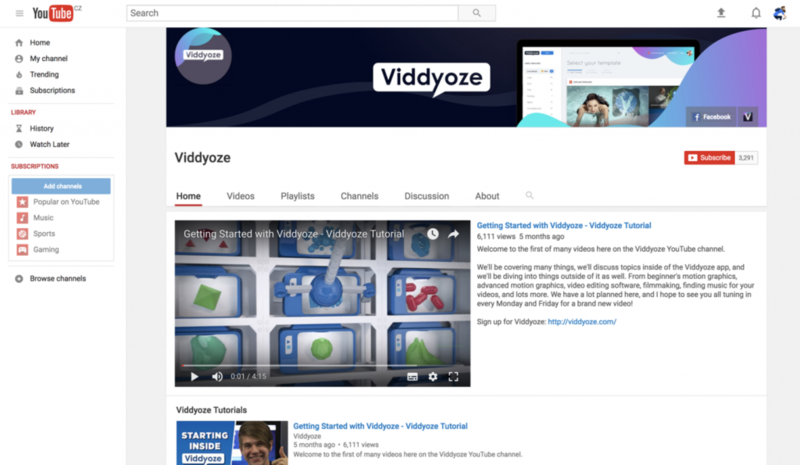 In addition, YouTube has their own suite of tools to help you gain insights into your channel. Using YouTube Analytics will allow you to better understand your audience, see how they engage with your videos, and figure out how you can create better content for them. When a user finally clicks through and to your site, YouTube has finished serving its purpose, and from this point onwards becomes more of a hindrance than a help in your sales funnel. Check out our last article where we tell you exactly why you shouldn’t use YouTube for your sales videos and which hosting solutions are better suited for these purposes. In addition to YouTube creators having already built strong relationships with their fans which they can use to promote brands they believe in, they are also experts on using YouTube, and can skillfully share your brand message with their huge audiences who you may not be able to gain access to otherwise. For example, we at Vidello partnered with Viddyoze and put together a limited time offer for viewers who signed up after viewing their videos. For videos not directly taking advantage current trends, try to produce videos on topics that will remain relevant and will keep pulling in traffic long into the future. Consistency is key for creating your own loyal audience. Creating your own unique intros and outros that will be used in every one of your videos and uploading content on a specific day are just some of the steps you can take to this end. This consistency will help attract recurring viewers, give your audience a sense of expectation, and help you carve out a niche for yourself. Even though YouTube’s interactivity is missing some important features as we mentioned in our last article, you should still use its info cards and end screens to make it easier for your audience to take action right from the player. 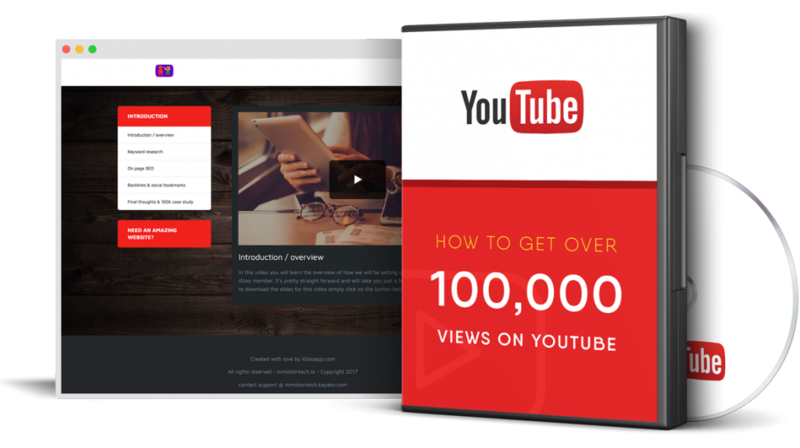 If you want to get your videos to the top of YouTube’s search results, take a look at our free YouTube Kickstart Course. It will take you through everything that you need to know to getting your videos ranked first in YouTube’s search results. You don’t need to sign up or give out any personal information. 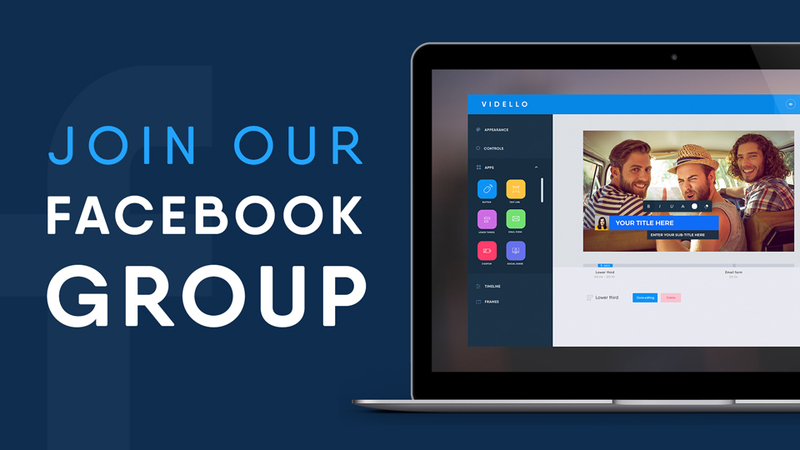 And if you want to know about the best video hosting platform for your sales videos, check out Vidello.